Android P is here, for those who want it, with a compatible device and the patience to put up with a few extra bugs and crashes. We’ve been playing around with the beta OS on a Pixel 2, and these are the most promising features we’ve come across so far—including a few hidden goodies Google hasn’t mentioned yet. If you’re wondering whether to take the plunge and install the beta yourself, the usual caveats apply: Be very wary of installing this on a device you rely on. 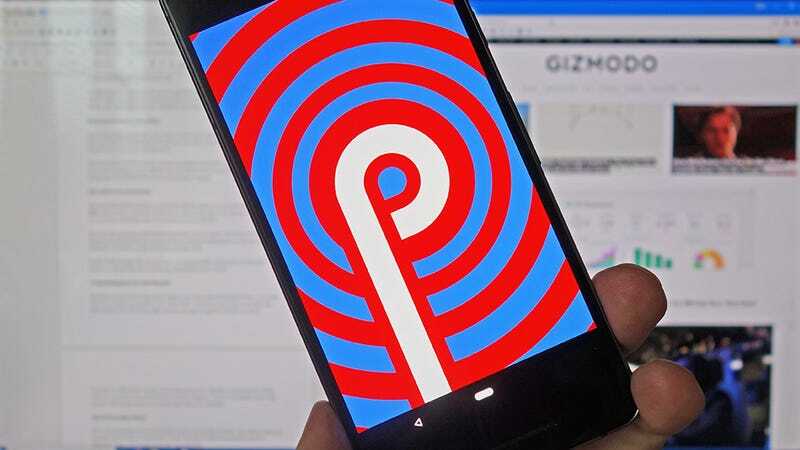 We’ve seen quite a few more bugs and crashes than we were expecting, particularly in third-party apps that haven’t yet been updated to operate well with Android P’s whims. This being a beta, features are going to appear and disappear as the weeks go by—there’s no sign yet, for example, of the Dashboard that’s going to save us all from our phones and which Google demoed on stage at I/O. This is still very much a work in progress. Locking the rotation on your phone is undoubtedly helpful in stopping screens from shifting with every tilt of your handset, but there are times when you just want to quickly override it to watch a video or get more room on screen—and the new rotation button to the right of the navigation bar works perfectly for this. Turn your phone to landscape when it’s locked to portrait, or vice versa, and you can tap the button to instantly shift the view, without affecting the master orientation lock you’ve got in place. Unlike many other features we’ve seen in Android down the years, it’s well thought out, well placed, and very useful. There are probably some app notifications that you instantly dismiss from your phone without a second thought—a new message from the never-ending WhatsApp thread you’re in with your family, traffic warnings from Google Maps when you’re not actually going anywhere, and so on. Android P will notice when you start dismissing a lot of notifications from the same app, and ask if you want to mute them in the future: It’s another example of how our phones are getting smarter and more intuitive. Android Oreo ushered in a ton of extra notification management options, but they’re fiddly to use and not easy to understand. Having Android automatically learn from your behavior and make useful suggestions based on it is a whole new level of helpfulness. The gestures of Android P are still being refined, and on some phones won’t even show up by default—you may need to head into Settings then choose System, Gestures, and Swipe up on Home button to turn them on. One that works very well is a swipe right on the new Home ‘pill’ button, to take you back to the last app you were in: It works even better than the old double-tap on the Overview button, which was itself pretty handy. Less intuitive is the swipe up from the Home button on a home screen, which really needs to be stretched out to reveal the app drawer, otherwise you just get the multitasking screen. It’s a pain to use compared with the simple swipe-up-from-anywhere option you could previously use to get to all your apps (on a Pixel at least). However, we do like the row of most-used apps you get at the bottom of the multitasking/overview screen. For a while now you’ve been able to see how many hours of battery juice you’ve got left (roughly speaking) in Android. The Android P beta improves on that by telling you when it thinks your battery will die—it’s a small change but a significant one. You don’t need to do any mental arithmetic to work out if your phone will last to the morning or beyond dinner, because the time is right there in front of you, and even on the main Settings screen (so you don’t need to go into the Battery menu at all). This is all thanks to the Adaptive Battery feature Google has spoken about, watching how you use your battery to provide better estimates (and longer battery life—though we haven’t noticed much change there yet). Like the notification muting, it learns which apps are less important to you and acts accordingly. Volume is one of the banes of our mobile lives—social media stories that blare out of speakers without warning, or podcasts that aren’t turned up loud enough. Until Android lets you set app volumes individually, the smarter volume controls in the Android P beta will have to do. Essentially the physical volume buttons now just control media volume and nothing else, no matter what’s on screen at the time. From the pop-up slider that appears when you tap a button, you can tap the top button to cycle through loud or muted options for calls and notifications, or tap the cog icon to change all the volumes (including alarms, which you’ll rarely be changing anyway). Do Not Disturb finally means Do Not Disturb (if you want it to), with a host of extra options available to let you hide notifications and visual alerts as well as stop them from making a sound. You can choose what gets shown and what doesn’t, and apply different settings based on whether the screen is on or off. Configuring what’s allowed to break through the Do Not Disturb mode (like emergency calls) is easier too. We’re also looking forward to turning over our phone to activate Do Not Disturb, but that feature isn’t yet available in the Android P beta. There may well be times when you need to silence your phone, and Android P gives you a new one, besides dialling down the volume manually or flicking around for the Do Not Disturb icon in the Quick Settings pane. Press the power and the volume up buttons together, and calls and notifications volumes are muted instantly or set to vibrate. You can decide which you prefer by opening Settings and going to Sound and then Shortcut to prevent ringings. Android follows iOS by giving us some basic editing options for screenshots. Tap on the Edit button on the screenshot notification, and you can add some simple colored doodles on top of the screenshot, and crop the picture if you need to. You don’t get anything advanced like text labels, but it’s a start. The Share and Delete buttons are still present and correct on the screenshot notifications, in case you want to send them elsewhere or get rid of them straight away. Another little change: You can also take a screenshot with a long press on the power button, as well as with the usual power and volume down combo. We haven’t noticed too many small tweaks in our time with the Android P beta—or maybe they’ve just been too small for us to notice them—but here’s one. If you select text and then try and move the left or right anchors, you get a magnified bubble up above. It makes it a little easier to work out exactly where your selection is starting and ending, and once you let go, the usual shortcut options reappear. This isn’t working in every app just yet. Google Keep is one of the apps where it is available. We’re not completely convinced by this one yet, but we like the idea—app actions that pop up when you’re likely to need them, so you can jump straight into taking a photo in Instagram rather than wading through your feed first. It’s not working especially well at the moment—this is a beta, and most app developers have yet to plug into the various APIs required to make it work properly—but it’s something we think could save a lot of time. There are also app slices, which work in the same way but show up when you search for something on your phone.